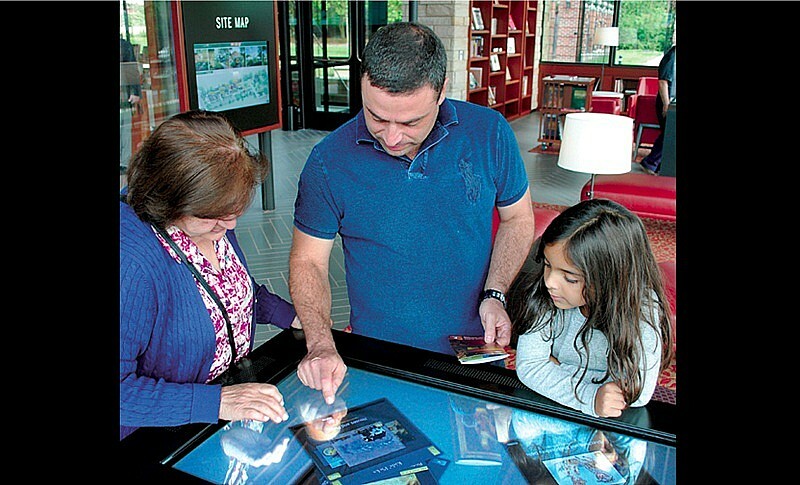 Let us welcome you to the Frick at the Grable Visitor Center. Here, you can learn about the collections, the Frick family and Pittsburgh history, and schedule a tour of Clayton. Explore our interactive educational technology to delve more deeply into our site. Return throughout the day to relax and expand your knowledge Reading Room and be sure to browse the unique selection of items for sale at the Frick Museum Store. Visit the Frick Museum Store for a unique selection of merchandise and gifts. Designed by the architectural team of Schwartz/Silver and Associates (Boston) and Loysen + Kreuthmeier (Pittsburgh) the 3,000-square-foot Grable Visitor Center is located in the center of the Frick’s 5.5-acre campus. Façades composed of low-iron, high-transparency glass and Pennsylvania sandstone integrate the new building into the existing landscape. 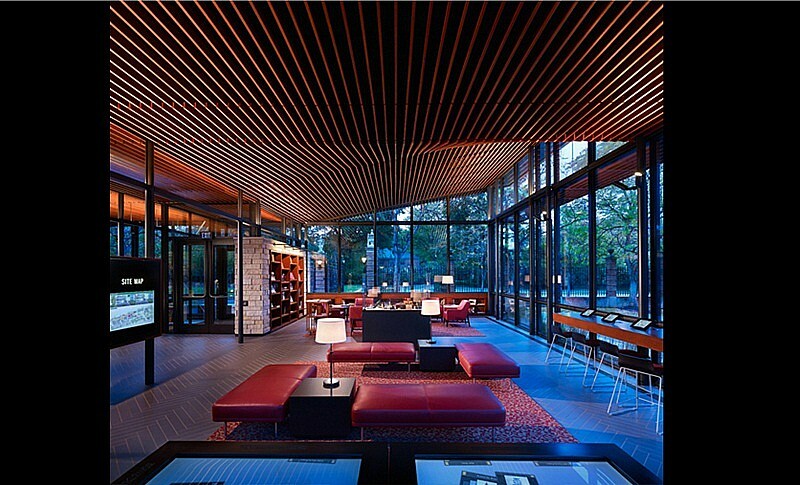 Inside, a wood ceiling suspended by glass walls provide views of the vast Frick grounds. A porcelain tile floor laid in a herringbone pattern suggests decorative elements at Clayton. To enhance the Frick’s environmental sustainability, the construction adheres to LEED standards. 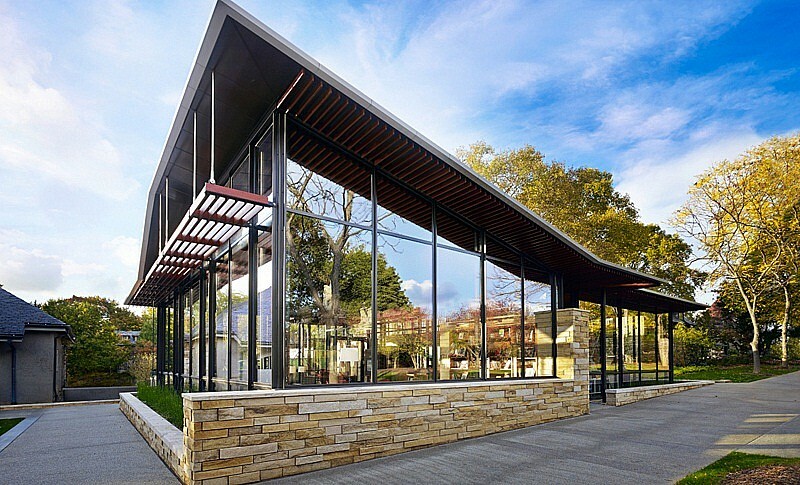 The glass design of the Grable Visitor Center provides a visual connection to the Frick’s park-like setting, and enhances the “green” character of the facility through the use of natural daylight. 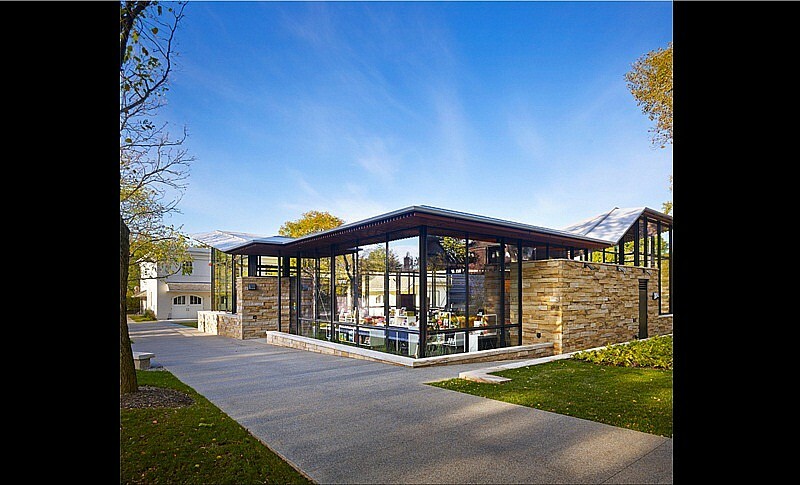 An exterior sun louver system reduces heat-gain and energy consumption required for cooling. Building materials were selected based on recycled and Low-VOC (Volatile Organic Compound) content and, where possible, were harvested and manufactured within 500 miles of Pittsburgh. Recently, the Grable Visitor Center project was recognized with a Certificate of Merit for Architecture by AIA Pittsburgh, the local chapter of The American Institute of Architects, in the Design Pittsburgh 2015 juried competition. Grable Visitor Center and Museum Store hours are Tuesday through Sunday, 10:00 a.m.-5:00 p.m., Friday 10:00 a.m.-9:00 p.m., Closed Mondays.